Patrons with disabilities can park immediately west of the Museum, in the Young parking lot. For best access, wheelchair users and other patrons with mobility limitations should enter the Smart Museum’s courtyard from this side (through the west gate by Ellis Avenue). 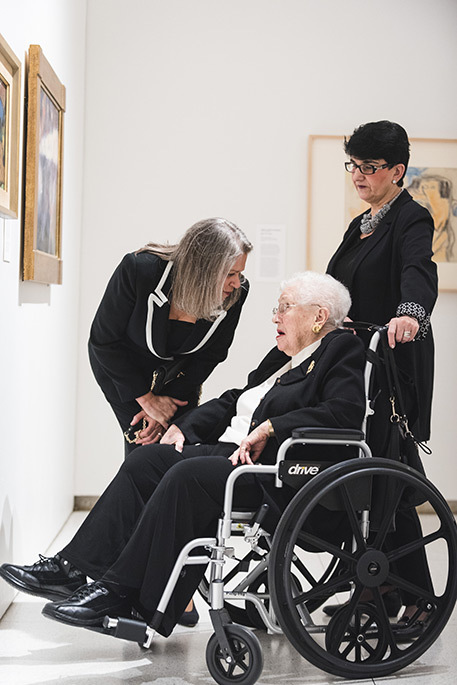 The Smart Museum's galleries are accessible to wheelchair users and others who cannot use the stairs. A ramp into the galleries is located just past the café. Please ask at the information desk if you require any assistance. A complimentary wheelchair is available next to the coat closet. The Smart Museum's public facilities include a single-user restroom.